Vic is an Associate of Global PMI Partners. In the past 25+ years, Mr. Datta has established himself as a Transactions Leader with deep experiences in the full M& lifecycle. As founder of Datta Solutions Group (DSG), he has specialized in the Office of the CFO services and more specifically as a Finance Planning and Analysis (FP&A) and Reporting expert. Highly accomplished in linking technology to financial operations, Vic has deployed technology enabled, performance and financial management solutions in organizations leading to rapid return on investment. Vic has provided a broad range of buy- and sell-side services, including financial due diligence, forecast and valuation analysis, buyer and target identification, contract structuring and negotiations, transition and strategic planning and finance post-merger integration as well as divestitures. He has held CFO and CIO roles in Fortune 1000 Global Firms. Mr. Datta has been called into complex over-leveraged situations to restore operational and financial stability in various industries. Prior to Global PMI Partners, Vic was a partner with FTI Consulting, Inc leading its Enterprise Performance Management practice. 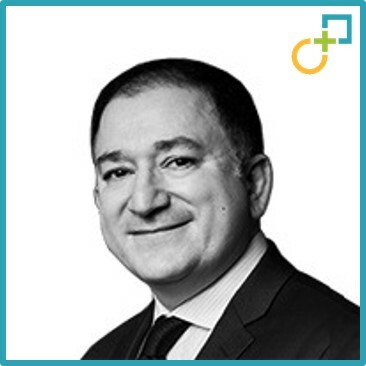 Further, Vic has been a senior Director with KPMG Advisory and served as an Associate Partner and Operations Executive with IBM Corporation where he played a leadership role as IBM Global Services IT Integration Executive of $3.5B acquisition PwC Consulting. This comprehensive role encompassed 45,000 employees globally and 18,500 practitioners in the Americas. High-tech (SW/HW, Internet), Education, Manufacturing, Chemical, Aerospace, Consumer Products, and Distribution. Provided post-acquisition advice to complex bank requests for information following PE portfolio electronics company’s business downturn. Comprehensive business review, budget analyses, working capital management reporting and Financial Planning & Reporting personnel. For a $900m education software PE portfolio company, conducted a finance operations survey and assessment. Developed reporting improvement process and governance for the organization. Developed KPI’s and metrics for new cloud business model. Vic is originally from India however has spent most of his early life in the Middle East (Bahrain and UAE), United Kingdom and for the last 30 years, in the USA. He is an avid aviator and is involved with the AOPA, NBAA and Drone industry around the Washington DC area. He is married to Jane and is the father of Reina and Rohan.